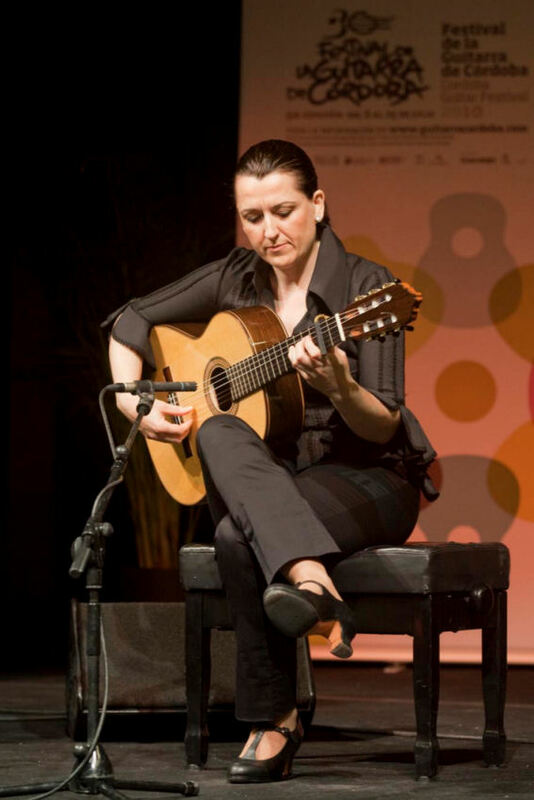 Guitarrista Celia Morales en Ronda. 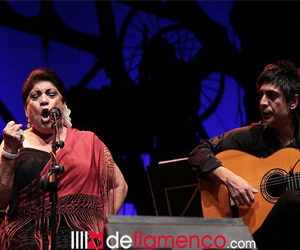 Interview with Celia Morales, courtesy of Federico Bestevaar. Federico Bestevaar and wife Milagros were staying at the Parador Nacional in Ronda and they saw a few brochures for a woman Flamenco guitarist named Celia Morales. 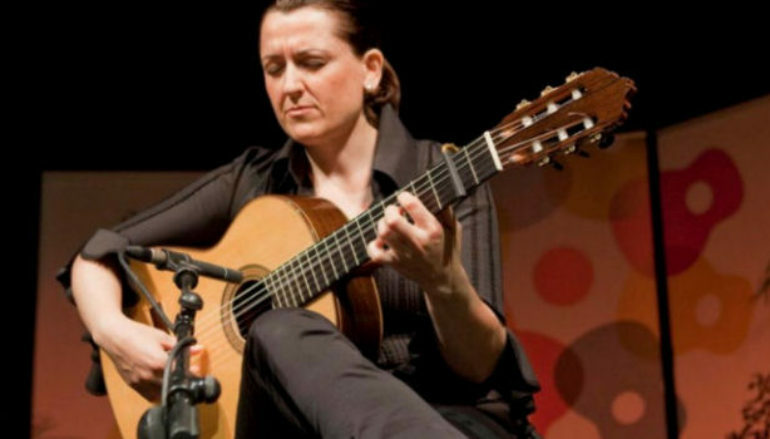 She gives an hour and a half concert five nights a week of solid solo traditional Flamenco, as well as teaching guitar, while her husband Juan teaches singing and compas. I looked her up on the internet and decided that I wanted to see her that night as she gave her concert. The concert was held in a small, but professional stage with all the trimmings of sound equipment. I paid my 20 Euros and did not know what to expect. Everyone sat and she came dressed very dignified in black. She sat and explained every piece before she played both in English and in Spanish. From her repertoire she played Sabicas, Nino Ricardo, Diego Del Gastor, Ramon Montoya as well as Paco De Lucia and Tomatito among others. After her concert the audience was very pleased and asked many questions about Flamenco to she and her husband. The performers were very patient and considerate in answering all their questions. The following is my interview with her. F: Hi Celia, I liked what you did. C: Oh thank you, I was a little nervous because when I saw you in the audience I knew that you were the one that played and would interview me. F: Well I think that you did well. F: So how long have you been playing? C: Well I am in my thirties and started when I was very young. F: Who was your best teacher? F: I know Pedro Blanco and he can not execute very well the notes. F: He must be. And so what is your experience as a player? F: So why did you come to Ronda? Where you born here? C: No, actually I was born on a farm in a small village near Antiquera in Malaga but moved to study in various places, but mostly Malaga. I have had some famous teachers like Nino Ricardo and Manolo Sanlucar. F: So what brought you to Ronda? C: I did not want to play just for singers because that really is a man’s world. C: Well you know, all the drinking and staying up all night. Being a woman it was not the type of life that I wanted. 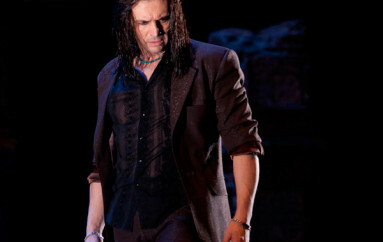 I think that Flamenco should have its own dignity. It is a very grand art and we shouldn’t let it ever allow to get a bad reputation because of bad comportment. Then we got this Idea to start not only a school for Flamenco, but to place it in a rustic place were there would be constant movement of people coming through such as Ronda. F: Where are your students mostly from? C: Well believe it or not, right now mostly from America followed by other European countries and then the locals of course. F: So do you live here in the center of the city? C: No, we have a country house where we live with our young daughter which we adore. F: So you drive here every day. C: Oh yes. Our personal life is not our working life. F: How did you get the idea of playing concerts 5 nights a week? C: Well instead of just teaching and performing, we wanted a steady life and so there were no places that I knew of where people could go and hear concert flamenco solo guitar every night. As you saw…. there are people that come that have never seen or heard this before. Most of the flamenco guitarists in Spain accompany the singer or dancer and most do not play solo concert flamenco guitar. If that was all they did here in Spain they most likely would not do well economically. F: How long have you had this school open? F: How many students do you personally have? C: Right now I have around 30 that I teach guitar to. My husband Juan has others that he teaches singing and timing to. F: What makes you different from your teaching style than other teachers? C: Well for one thing we have everything hand written down and we give a recording of the lesson, and if any student wants to video tape any thing; they are more than welcome to. Other Flamenco teachers here in Spain just say, okay play it like this and the lesson is over with. By the time the student gets home he has already forgotten what he had learned and there is nothing to review, because there is no reference point. F: How much do you practice a week? F: How many guitars do you have and who were the makers? C: I have 3 guitars made by Antonio Marin from Granada. They are easy to play and sound good, especially since I don’t use a microphone here at the performances. 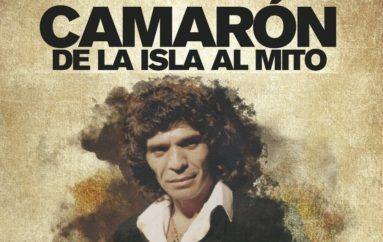 Very well written article about Flamenco. I loved that Federico saw that Celia Morales had a unique view of how to apply her passion and talent in tough economics times.